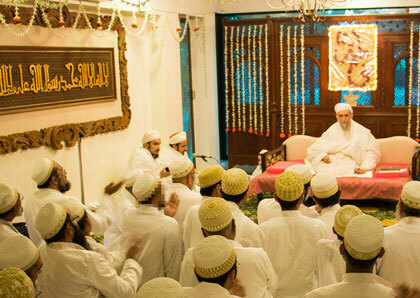 Syedna Khuzaima Qutbuddin TUS presided over Shahadat Majlis of Maulatuna Fatema SA in Darus Sakina, Thane. 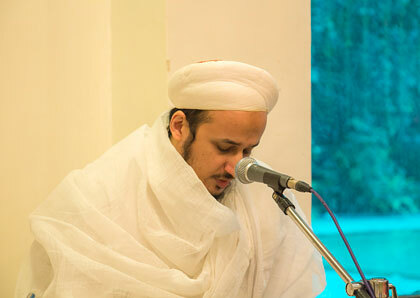 Majlis began by tilawat of Qur’an Majeed by Haafizul Qur’an Shehzada Dr. Husain Bhaisaheb. 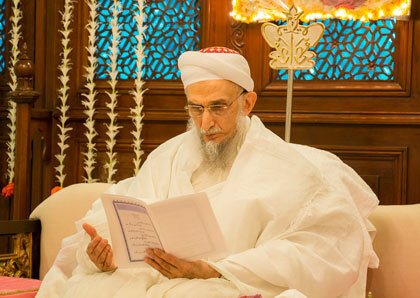 Selected verses from the qasida mubaraka "Maulatuna Fatematuz Zahra" composed by Syedna Taher Saifuddin RA in the shaan of Maulatuna Fatema were recited. In particular, the supplicatory verses in which we beseech the shafaa’at of Maulatuna Fatema were recited with deep feeling. 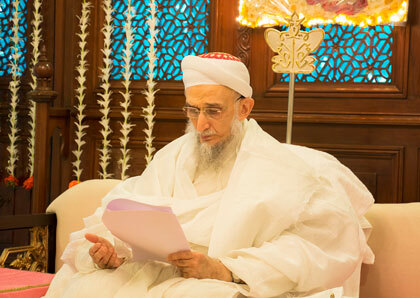 The qasida mubaraka "Ya aala Fatimatin Deenokumu Qiyamu" composed by Syedna Buhranuddin RA was also recited. Finally the salaam written in Dawat-ni-Zaban by Shehzadi Dr. Bazat Tahera Baisaheba was recited. 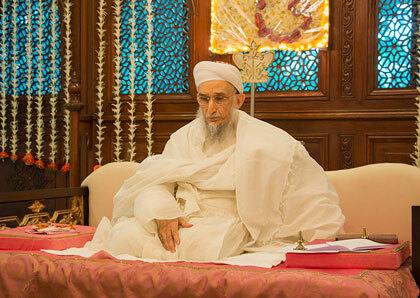 The audio of these qasidas and the salaam have been uploaded to the website. Later a video of Syedna Qutbuddin’s bayaan from Ashara Mubaraka in 1411H in Indore was played in which he did the zikar of the position and maqam of Maulatuna Fatema and narrated her shahaadat. The continuous flow of ‘ilm is remarkable. Among the gems of knowledge, Syedna Qutbuddin referred to the Qur’anic verse ‘a male is not like a female’ (laysaz-zakaru kal-untha – Aale Imra:36) in the context of Maryam AS, which refers to the lofty position of Maulatuna Fatema: there is no man who is like Maulatuna Fatema. 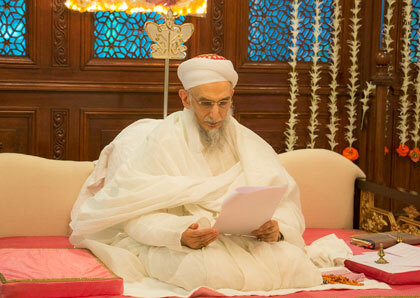 She is the mother of the Imams, the vital connecter by which the Imam is in the progeny of both, Muhammad and Ali. 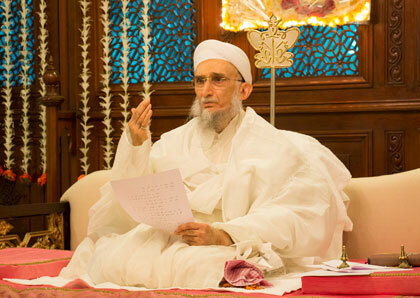 Indeed it is in reference to Maulatuna Fatema, because of her vital maqaam, that the Imams are referred to as Fatemi Imams, their Dais are referred to as Fatemi Dais and their Da’wat as Fatemi Da‘wat. The video excerpt also contained a segment in which Maulana Qutbuddin referred to the model of Maulatuna Fatema in her shafaqat and compassion for her children, Imam Hasan and Imam Husain SA. He expanded that we should emulate her example, raising our children with love and care, inculcate the love of Mawali Tahereen and always nurture their kindling spirit. It is difficult to describe Syedna Qutbuddin’s emotional engagement and pain felt in the narration of the zulm and calamities that befell the daughter of our Prophet. 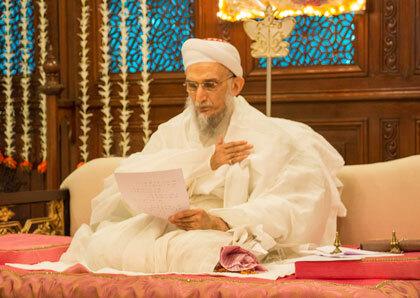 On the eve of the 11th of Jamadil Ula, the eve of urus of Maulaya Nooruddin – Dongaam (next to Aurangabad), the salaam written by Shehzadi Dr. Tahera baisaheba in shaan of Maulaya Nooruddin was also recited. 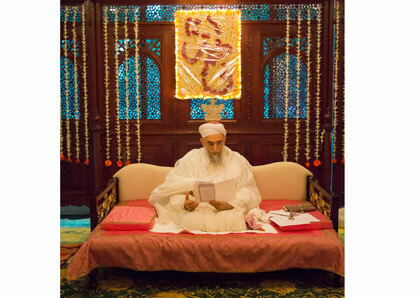 Maulaya Nooruddin was one of the pioneers of Da’wat in India in the time of the 18th Imam al-Mustansir Billah SA. He was responsible for sowing the seeds of imaan in the Deccan region of India, while Maulaya Abdullah and Maulaya Ahmad founded Da‘wat in the Khambaat region.